The Pioneer difference. Unique measurement at 12 different points in each pedal stroke, left and right leg independently. 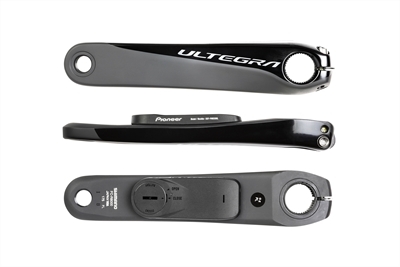 Three torque sensors in each crank arm capture data at every 30 degrees of rotation. Analyse where you apply power throughout the pedal stroke to hone your technique. You’ll see graphically displayed force vectors in real time to make immediate adjustments to your pedal stroke. Lightweight, water resistant, with 180 hours of battery life. Transmits both ANT+ and Bluetooth - making it compatible with any head unit. 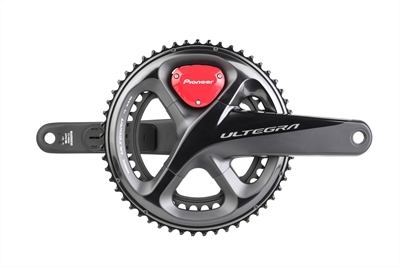 Fully compatible with Pioneer and Wahoo ELEMNT and ELEMNT BOLT cycle computers, the Pioneer system shows precise pedaling efficiency and power metrics for each leg. 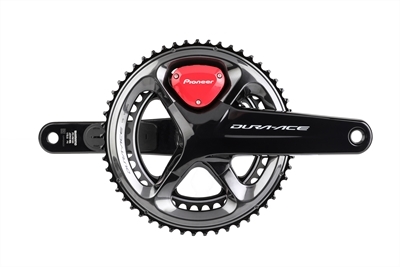 Pioneer Cyclo-Sphere Control App manages everything - power meter functions, mode switching, magnet calibration, zero calibration, pedal copy and firmware updates. 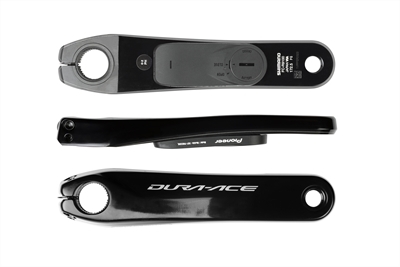 The sole job of the crankset is to convert the effort from both legs to forward motion - this makes it the perfect place to directly measure power. Power is the most consistent and quantifiable measure of training and race performance. This differs from measurements like heart rate - an aerobic response that is an indicator of effort and conditioning - or speed / cadence - a result influenced by many factors. Eliminate guesswork from training and race day. Help to define your weaknesses. Train specifically for the demands of your event.